The Pillo hotel Ashbourne combines contemporary chic style with 4 star luxury. Perfectly located 22Km from Dublin City centre and at the gateway to Meath. We are delighted to announce that our newly refurbished restaurant, found on the ground floor of the hotel, is now open. With our new contemporary style, we are excited for you to see and experience our new outlet! For restaurant bookings and for more information, please contact us for more details. The Pillo Hotel Ashbourne is located on the N2 and is only 11 minutes from the M50, which makes the hotel the perfect location. Tayto park is Irelands new Family Fun park and hosts a range of activities to guarantee a fun day out for all the family. Clean, comfortable,friendly staff, good food, enjoyable time with 2 young kids, wonderful play room for kids which was a great surprise! Would return. Gorgeous hotel, lovely rooms, couldn't flaw a thing. Nice bar and breakfast and really friendly staff. Thoroughly enjoyed our stand, very good value for money and would highly recommend. Went as a party of 19 (Adults, teens and children) and have to say it was a pleasant experience. New year check in and our needs were met. Great family friendly hotel. Excellent staff as well. Will go again. Excellent dinner ,let down by poor gluten free breakfast. Excellent stay in the Pillo Hotel!!! Great room, food and leisure facilities!!! Perfect location too, couldn't recommend it more!!! Lovely hotel, air conditioning in rooms, fridge and a drinks machine at the end of corridor, only disadvantage no cash machine in hotel or cash back so couldn't use card for cash. Excellent hotel and great value. Breakfast buffet very good. Room well decorated and clean. Staff very friendly and helpful. I will definitely stay here again. Staff at the bar very nice, the bar food was amazing. Highly recommend the chicken wings (some of the nicest ever tested and Bruschetta was again amazing. Pool was really nice but would suggest the Hotel might sell a swimming hat for €1 rather than the € 2.50 they were looking for. The breakfast was absolutely beautiful could recommend it enough as they seem to cater for everyone's taste. If you like a full Irish you want be disappointed if you like cereal and fruit and croissants again you want be disappointed. Had Fillet steak in the Restaurant done to perfection. For a short break in a nice hotel definitely recommend. Such a lovely hotel. The swimming pool was so nice. The room was a bit hot at night but I think every hotel is the same.Perfect for families and so close to everything. We stayed two nights in this hotel. Reception staff was very friendly and helpful, room was fab, bed was very comfortable and pool facilities were good. Secure car parking in operation. Bar is okay. On the first night, I was given the wrong starters (soup), waiting staff offered a free desert. Breakfast was not the best Irish breakfast I've had. I would stay in this hotel again but would not dine in the restaurant or avail of the breakfast deal. Lovely hotel, clean and comfortable. Good friendly efficient staff. Food good. Great "Buzz" about this hotel, plenty of young visitors who created a lovely atmosphere. The only negative was that our room looked out on the bin area at the rear of the hotel which did not lend to great viewing and we were awoke as expected with the noise early next morning. I did not ask for a change which may have been forth coming had I asked. Apart from this every thing was great and I will have no problem revisiting this hotel, but I will ask to get a more suitable room location. Comfortable large family room with a super large TV the kids loved... they will run a kids club if there are 5 or more kids around. Breakfast was good. Friendly helpful staff not in your face. We has a very disappointing stay at the Pillo we weren't aware they were under refurbishment & the service was poor, the temporary bar and restaurant was unsatisfactory & it was very noisy with the work going on. I had stayed here before & thought it was really lovely but this time due to the refurbishment it was a disaster. Hotel is lovely, room was spacious & bed very comfortable. Staff all friendly. Restaurant was disappointing. Service slow & both main courses were overcooked. Pool & changing facilities were spotless & lifeguard also on duty. Overall the break was good value for money but if going again I would leave out the meal & head into Ashbourne instead. We had a lovely stay.room was comfortable and warm.beds were excellent.rooms were very clean.breakfast was lovely.2nd time staying there and will be back.plenty of parking space and enjoyed our meal in ashbourne with plenty of restaurants to choose from.would highly recommend to anyone for a night away. Bedroom was lovely - spacious and tastefully decorated to 4* standard. However windows were screwed shut so room was airless and overheated. Reception very accommodating about our requirements but did not ask if we were happy with our stay when leaving. Restaurant was more 3*, like a canteen really. Both starters and main courses really good but dessert fell flat on its face. Breakfast was not 4* standard - too buffet style and plates were cold so food lost its heat quickly. Nothing much to do in the area as Ashbourne has little to offer. Great value for money.Friendly staff. Staff nice, location great, food was fabulous in the restaurant and breakfast served a good choice of all you can think of to eat. Only let down was getting a massage, its next to a gym where they constantly drop weights so its not that relaxing, i got a 20% discount but i would not recommend getting a message in this hotel, although no fault of the girl giving it. WE stayed in your hotel on Friday night. The rooms were spotless and i could not fault the accommodation or the reception. However, you were let down by your food service. We had not reserved a table in the restaurant and therefore had to eat in the bar area. I understand the hotel was very busy on this evening and i am well aware that service can be slow under the circumstances. There seemed to be plenty of staff but there was no "service" as such. I stood at the bar to order a drink and my presence was not acknowledged by either of the bar staff or the manager. Never at any time did he say, someone will be with you shortly or even give me some eye contact to acknowledge that I was there. It took 15 minutes to order a drink. The staff passed in and out by us and did not clear our table for 25 minutes after we had finished. The kids got fed up waiting to order dessert. Overall the experience was good but some major training needs to be done with the dinner/bar service. Breakfast was perfect. Overall I would return but I just wanted to make you aware that there are areas which need improving. We thoroughly enjoyed our stay at the pillo...the room was clean and spacious with a nice view...staff were warm and friendly...especially the restaraunt manager and the food was excellent! We will definitely return! 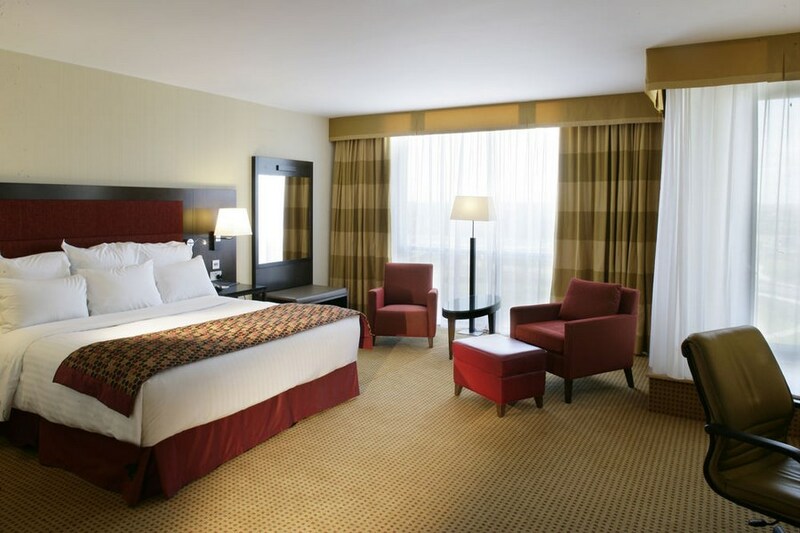 Very nice hotel, modern and clean. easy to find. The only issue would be not much to walk to around the hotel. wasnt a problem for us. Lovely hotel, great food and friendly staff. However the bedroom was not great - we were on the 5th floor and give a disabled bathroom so we had no bath. The room had a door to the next room through which we could hear the other occupants talking most of the night. Very nice hotel ,friendly staff , fabulous room and comfy bed! Good experience checking in & out. Friendly, professional staff. Room was lovely (Family room on 4th floor). Took the kids swimming & couldn't fault the changing/pool area (towels are supplied). Ate in the bar that evening, food was good. Staff were a little slow in taking our order & we had to ask for our drinks order but once they took the order the food was quite fast to come out. No noise at night (it was a Friday night). The breakfast was fantastic .... couldn't ask for more. Have stayed before and would definitely stay again, great value. Decent hotel, I enjoyed my stay. Just little noisy for a light sleeper like me on front facade with traffic as busy road nearby, but I am sure its fine on other facades. They could do with planting a few leylandii near t road to kill passing cars/Trucks sound. For everything else nice hotel, although it needs a tiny bit of TLC for very small maintenance details. Its quite close to Taytopark. Literally less than 10 mins drive. 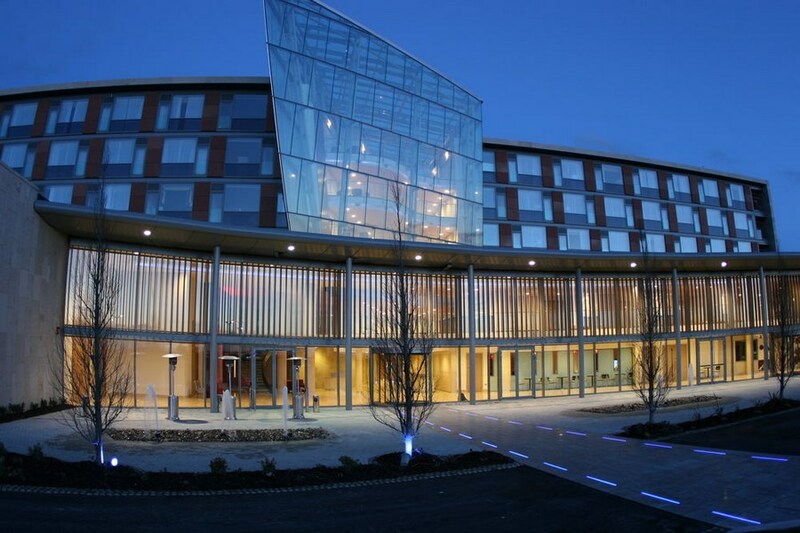 Super Location..For Tayto Park Was pleasantly suprised to find that the Pillo Hotel was situated so close after our vist to Tayto Park..it's 5 mins max. drive and you cant miss it..located just of the motorway,The Hotel itself is large,modern with super friendly staff, The leisure centre looked great,just didnt have time to use it !...Highly recommended. 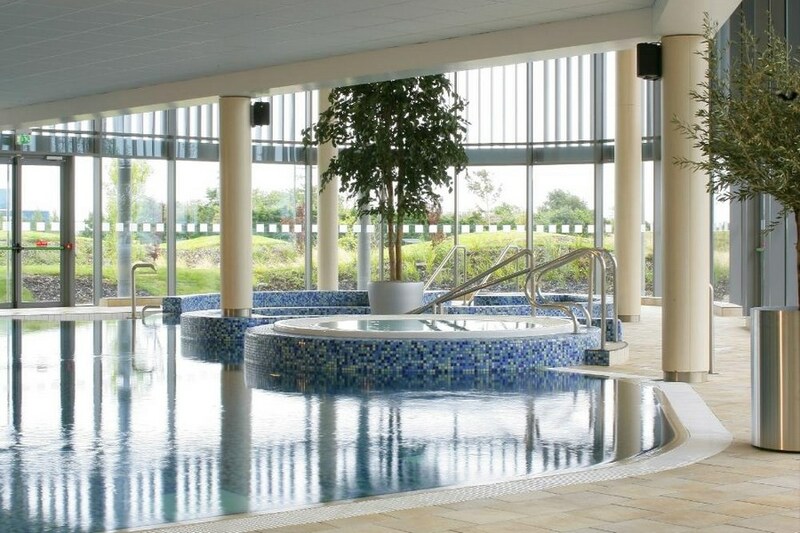 Fantastic hotel for a family break - we would even come here without the kids for a break away too as theres lots to do and some lovely restaurants in nearby Ashbourne. Highly recommend, we had a great time! :) Especially the pool - so fab! The bed in the room was broken and the cooked breakfast was very disappointing. The only thing enjoyable about our stay was the swimming pool for the children. Lovely hotel, very nice room and breakfast. Would recommend. We had a nice stay, i thought the hotel was lovely, very clean and the room was very nice with all you need. However the menu in the restaurant was different and much more limiting than what was shown on the hotel's website. This was very disappointing, and misleading on the part of the hotel. They need to update their website to reflect what is being served in the restaurant, as people will only expect what is shown on their website, otherwise there is no point in having a sample menu.